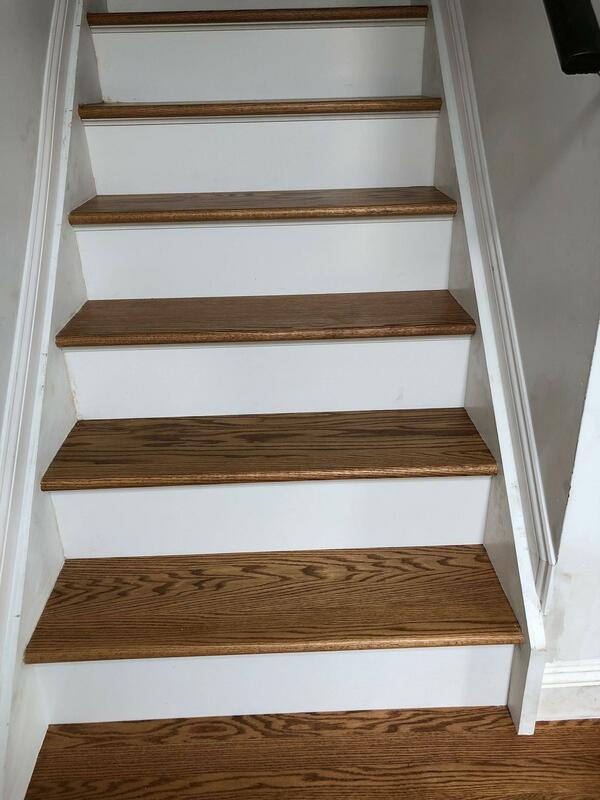 We recently had someone repairing the stairs in our home. 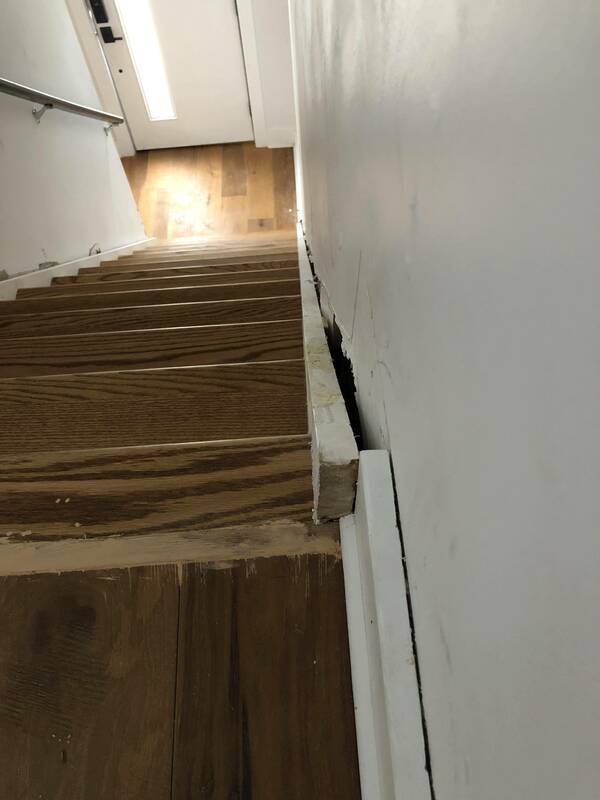 During the process of removing the old stairs they created these gaps in the drywall (see images), however, they never filled them and simply covered them with molding. Is this an issue we should try and fix or is this normal? If you can no longer see the openings in the drywall your contractor did a good job, molding is there to cover the ends at the floor and edges at openings so there is no need to go back it will not change anything as every house I have remodeled and built has some spaces that are covered by molding. Not the answer you're looking for? Browse other questions tagged drywall walls trim stairs or ask your own question. How should I repair drywall where heating registers used to be? How do I fix seams that open up at the corners of walls during the winter?